This page contains a form which when completed can be submitted directly to Just Neighbors for decision and possible action. You should receive a reply to your request generally within 24 hours. 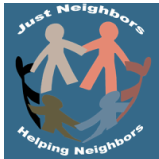 Just Neighbors works closely with its partner Neighborhood Connections in Londonderry VT to accommodate requests for monetary assistance. Please contact Neighborhood Connection first HERE to submit a request for monetary assistance. While Just Neighbors makes every effort to provide necessary assistance, the realities of available resources (wood, vehicles, funds, time and volunteers) may make it impossible to do so under all circumstances. Complete the following form to the best of your ability. Its important that we are able to contact you - so be certain to include a telephone number and/or email where you can receive a reply. It is also critical for us to understand the nature and urgency of your request - so please provide as much detail in the Describe Your Need Situation box as possible. You can also reach us by telephone at 802-787-1225 (a local call from our service area). Please be certain to include a phone number AND/or email address so we can get in contact with you.